The Brower Student Center offers workspaces and a study lounge on the second floor for individual students and student organizations. The space in the lounge area may be used as temporary study and meeting space. 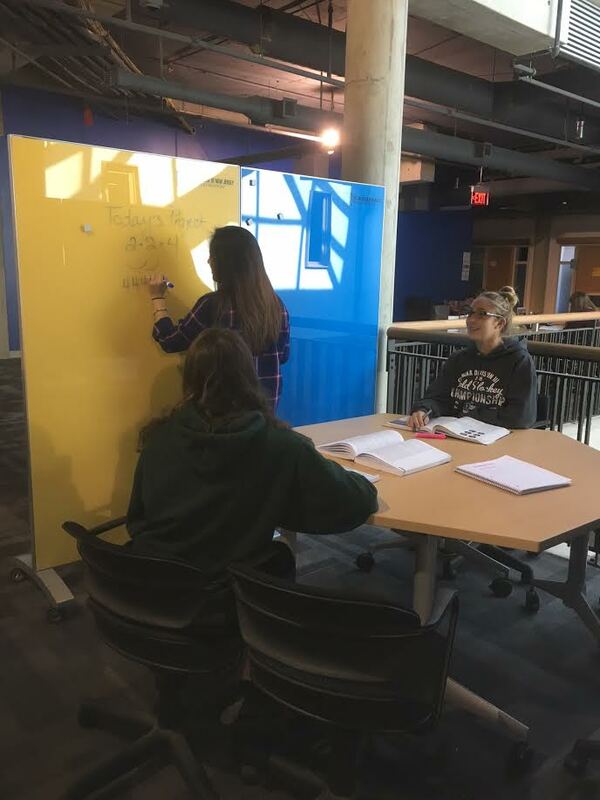 The Brower Student Center has mobile partitions available that can be utilized in the student workspaces to create personal space and absorb sound. These partitions are designed as magnetic dry erase boards to get your organization’s creative ideas flowing. In addition to workspace for students, adjacent lockers for student organizations are available for convenience as well. All Workspaces are on a first-come first-serve basis and lockers should be reserved in advanced. Please view our Lockers & Cages information.